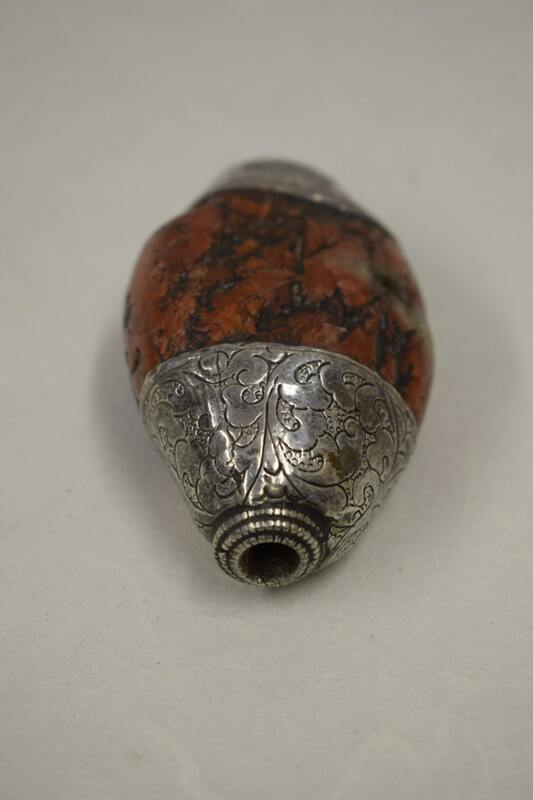 Bead Tibetan Pendant Coral Sterling Silver Red Vintage Silver Pendant 4"
This is a magnificent Antique Tibetan Sterling Silver and Coral Bead or Pendent. 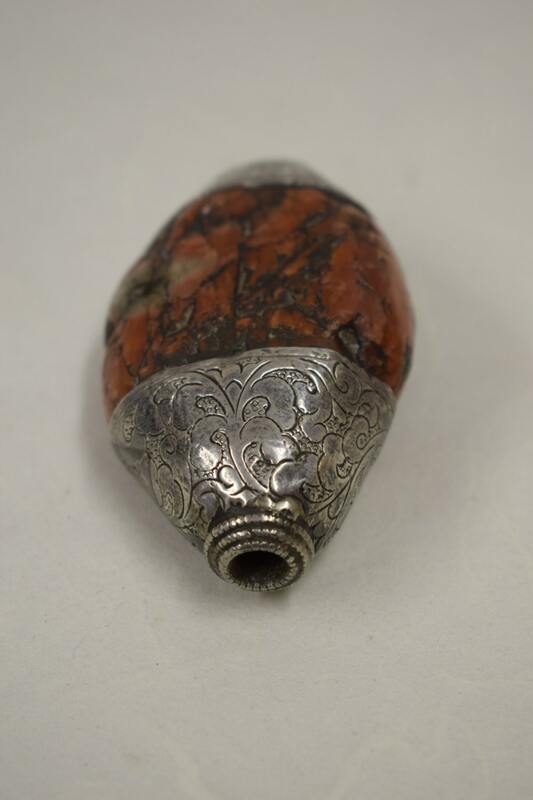 This is an piece of Coral is 25 years old with beautiful Tibetan Sterling Silver embellishment. Coral has been called the 'garden of the sea'. It was once believed to be a plant, but is now known to actually contain living animals called polyps. Records dating back thousands of years confirm that coral was used in decorative art objects. 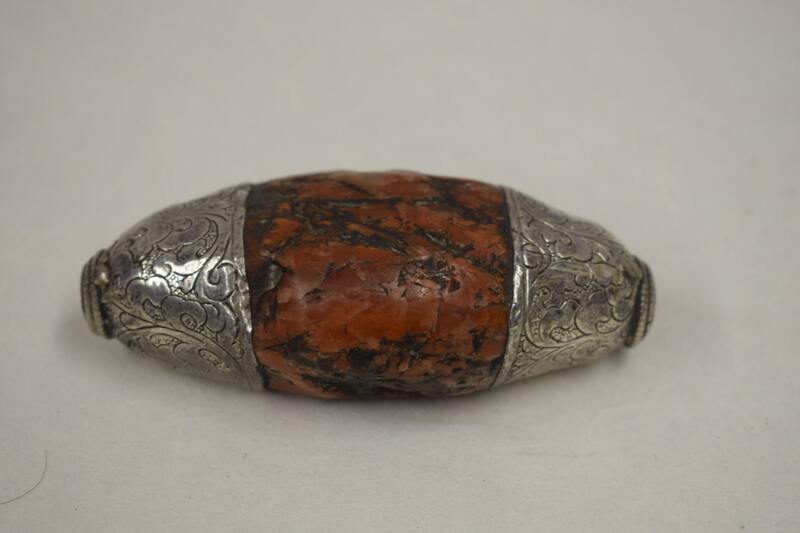 It was believed to prevent ill fortune and offer protection from skin disease when worn as a necklace. Dreams about coral are believed to foretell recovery from a long illness. Ancients believed that Mars was composed of red coral. Coral is a good aid for meditation or visualization. Coral symbolizes life and blood force energy. 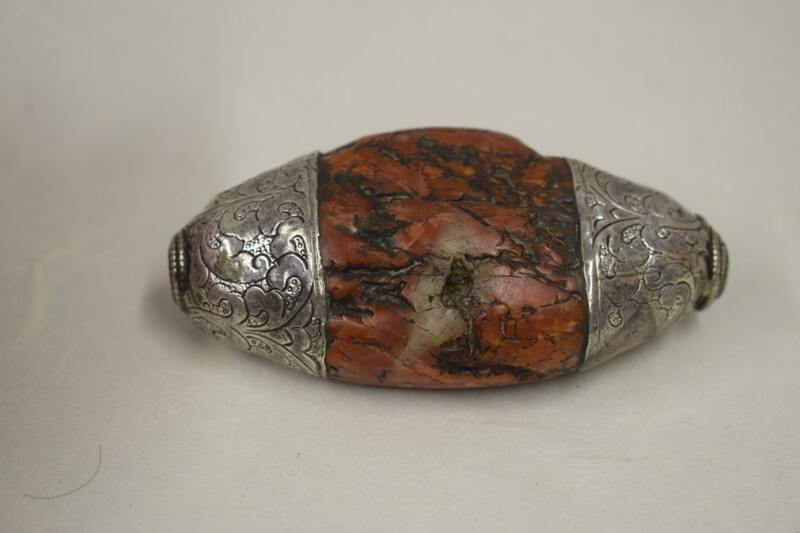 This is fabulous Antique Tibetan Sterling Silver and Coral Bead would be exquisite on a chain or incorporated into your jewelry designs. It would also be just lovely being displayed in your home. This is one of a kind piece of old coral.